I have a question: when and where and by who was the first flexi record made? I have heard many answers, but they contradict each other. There seem to be different technique’s for making flexi records, and several companies claim to be the first. 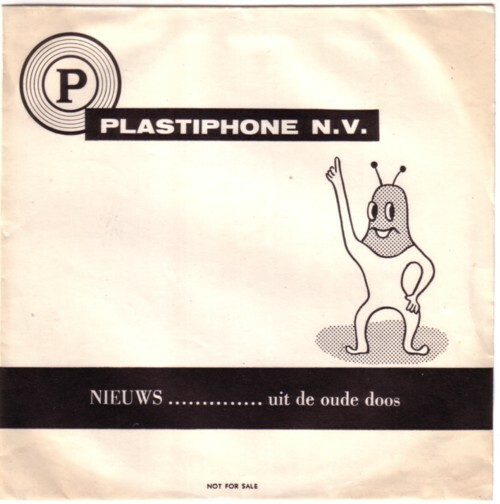 One of the first Dutch companies that produced flexi records was Plastiphone. I have not been able to find much information about Plastiphone and the records that they produced. I once got a plastic bag from Piet Schreuders, containing a few hundred flexi records. They were bought at a flea market and it seemed as if somebody had rescued them from the garbage. 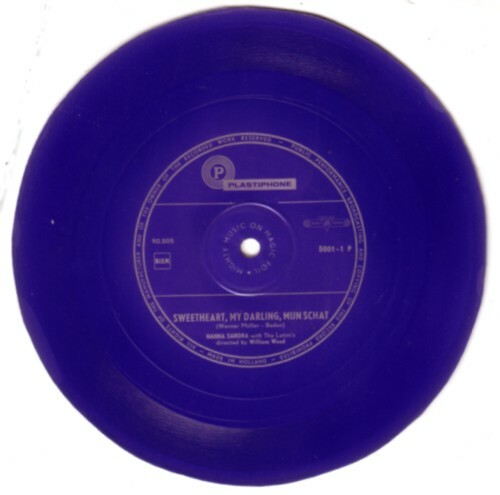 Most of the records were one sided transparent flexi’s, with the Plastiphone logo printed on some of them. The records had been wet, and I spend an evening peeling them apart and cleaning them. When I played them, I recognised the songs that were on Souvenir records. It were the same six or seven songs on almost all of the records in the bag. It seemed that these were test pressings. But there were also a few records with other sounds on them. The most interesting was a flexi record with a talk about the company itself, Plastiphone. Well, there will be not much people who will think that this is really interesting, but I do, because it one the very snippets of information that I have found on this subject so far. Well, I did found some more info, but I cannot built Rome in one day, so this story will be continued one other day. Did you find other informations about Plastiphone? What is it composed? I know that the italian artist Mimmo Rotella used Plastiphone to emcompass his paper works of art. So, it would be a transparent cast resin. Please, contact me if you have news, it’s very interesting for me!